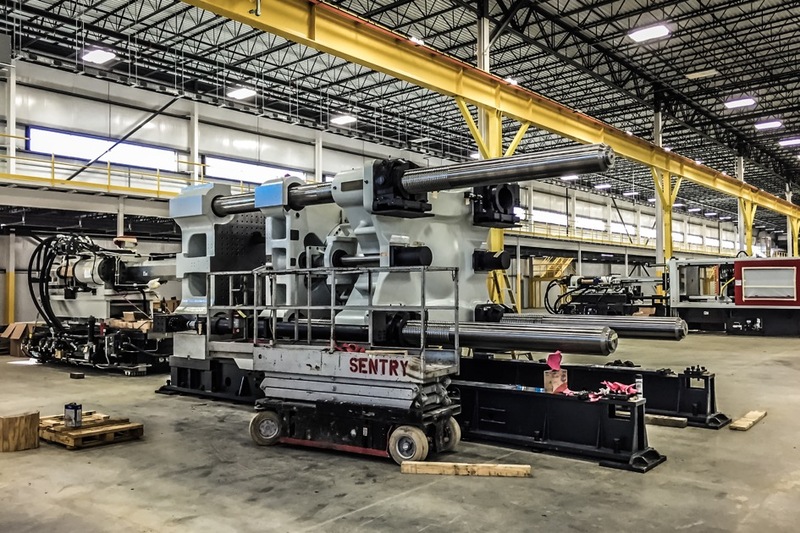 Sentry completed the installation of (16) new Injection Molding Machines at a facility that expanded their current operations with a new 18,000 sq. ft. Injection Molding Facility. 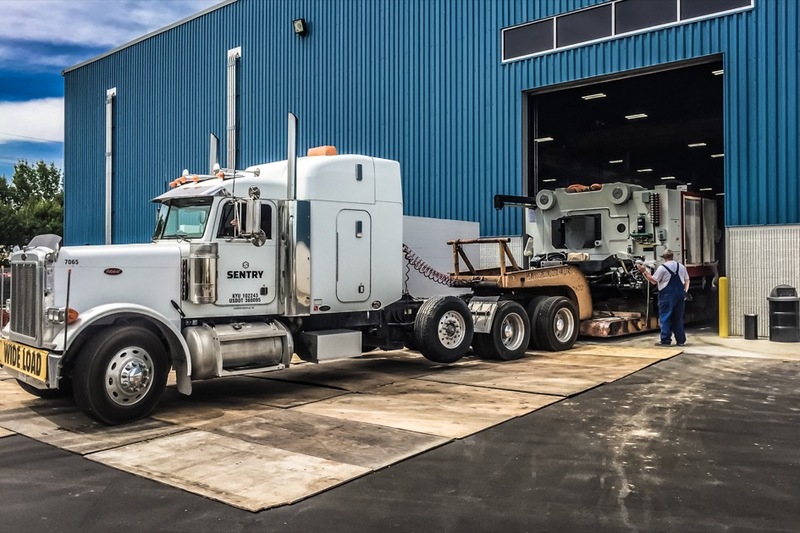 This project included unloading, setting, and leveling of machines ranging from 125 Tons to 2,300 Tons. 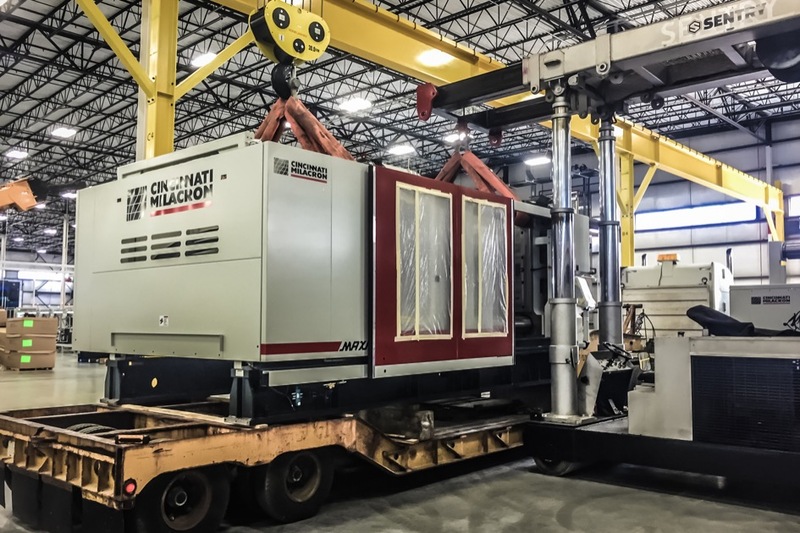 The 2,300 Ton machine had to be fully assembled and precision aligned.